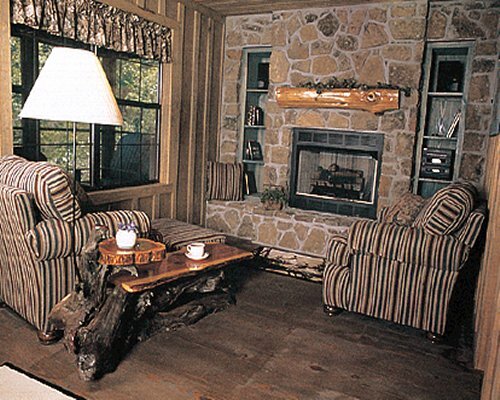 The Lodges at Maple Creek's vacation cabins are situated in the heart of Branson, Missouri. Great care has been taken to protect the natural beauty of the property. 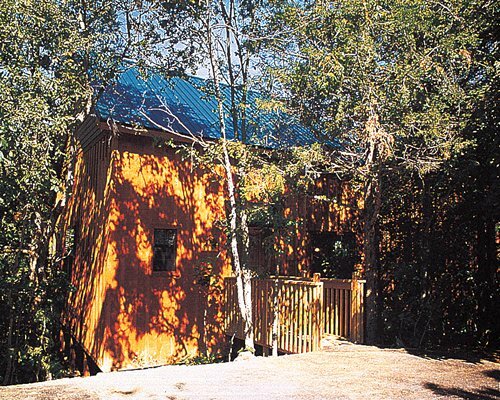 Each cabin is nestled among cedars, dwarf maples, and grandfather oaks. The resort is only steps away from such attractions as Celebration City, Silver Dollar City, and Country Music Boulevard. The nearby Tri Lakes offer water activities for all. From the Springfield airport, take Interstate 44 East to Interstate 65 South toward Branson. Exit Highway 76 and go West (left) approximately 3.5 miles to Highway 376. At Highway 376 turn left, go approximately 2 blocks and turn left on Green Mountain Dr. The resort is on the right 200 yards.